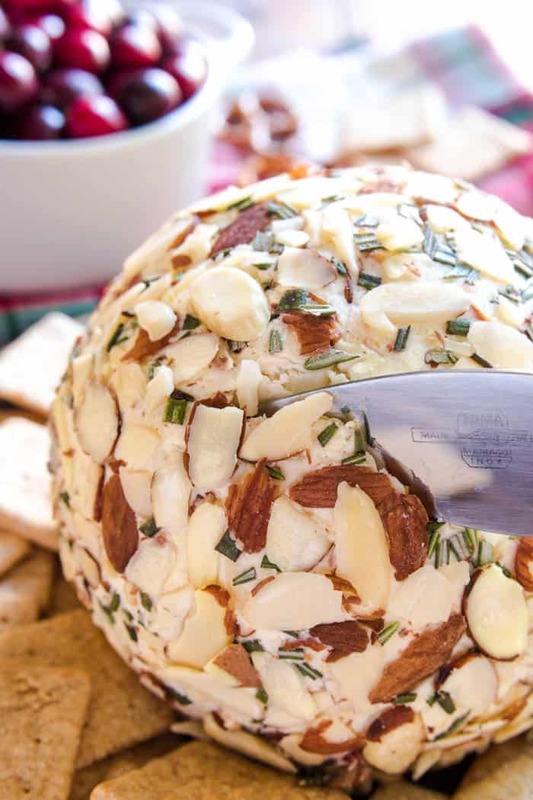 This Swiss Almond Cheese Ball makes the PERFECT holiday appetizer! 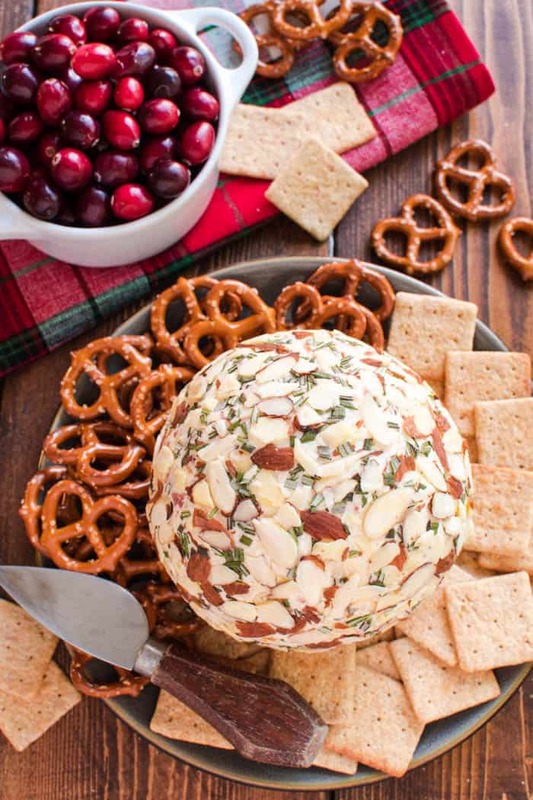 Because no holiday celebration is complete without a cheeseball…. (am I right? )….and this Swiss Almond combo is to die for! If you’ve never tried it, now is the perfect time to try it and fall in love. 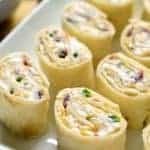 All you need is a handful of ingredients, a few minutes of mixing, and some time to chill….and you have yourself a new party appetizer that’s guaranteed to become a fast favorite! So I have to ask. Do you do Elf on the Shelf? If not……I would think long and hard before starting it. We’re just 8 days into the season (ours always comes on December 1), and we have already forgotten to move him. Twice. The first time we managed to sneak downstairs before the girls and remedy the situation. But the second time? Which happened to be this morning? No such luck. The good news, if you want to call it that, is that Ellia already knows the deal. So when she started taking Myla on a hunt for Cubby, all I had to do was give her a little look and she instantly turned into my helper. As sad as it might be to watch your kids grow out of believing in Santa…..I have to admit. There are some perks. The truth is, the longer I have kids, the harder it becomes to keep things secret. Because the kids get older….and smarter….and snoopier….and I don’t necessarily keep up with them. Last year? They found a present stash two separate times! You’d think after the first time I would have been a LOT more careful, right? Apparently not. And this year? It has already happened once. Needless to say, there’s a huge part of me that will be happy when Christmas is over. Because clearly….keeping up with secrets is not my forte! Luckily, there are other parts of the holiday season I’m really good at. Namely, the FOOD! I’m all about holiday food. To be fair….who isn’t!?!? I love thinking up new ideas and putting fun twists on classic combos. 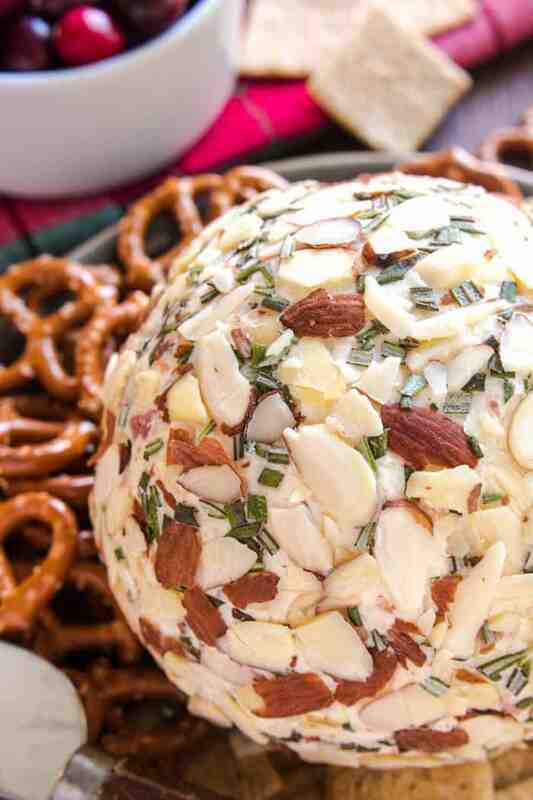 And this Swiss Almond Cheese Ball is exactly that: a fun twist on a favorite! If you’ve ever tried Swiss Almond cheese spread, you know just how delicious the combination is. And if not….well….you’re missing out. There’s something about the combination of swiss cheese and sliced almonds with a splash of white wine that’s seriously SO GOOD! And with the added bonus of bacon? You can’t go wrong. 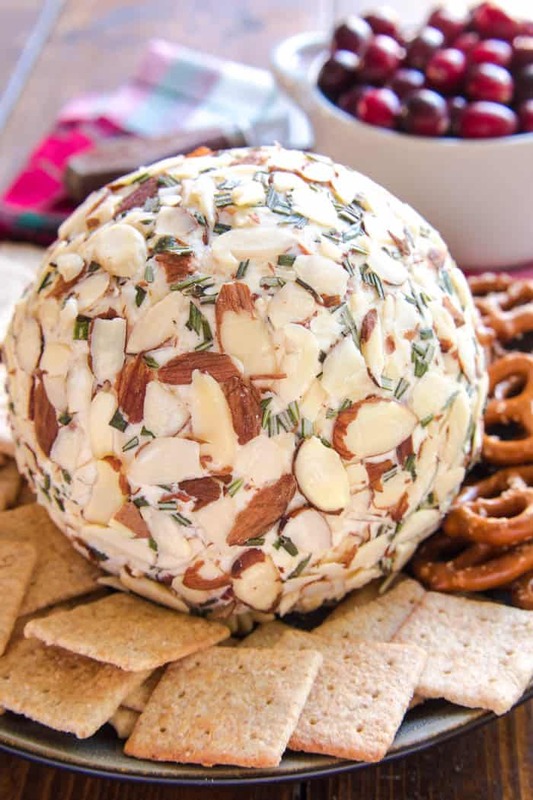 Not only is this Swiss Almond Cheese Ball absolutely delicious…it’s also SO easy to make. And I found everything I needed to make it at my local Pick ‘n Save! I’ve absolutely fallen in love with Pick ‘n Save’s Simple Truth brand, an all natural line of products. I love that they’re products I can feel good about, and I love all the variety I’ve been able to find. This Swiss Almond Cheese Ball is made with less than ten ingredients, three of which are Simple Truth brand. Which means it not only tastes delicious, but it’s made with ingredients I love. Start with cream cheese. Every good cheese ball starts with cream cheese! It’s what gives it that creamy, spreadable quality. Feel free to substitute Neufchatel cheese, but I would not recommend using fat free cream cheese. Consider your flavors. Simple is sometimes better! I would recommend choosing 2-3 flavors you’d really like to highlight and choosing your ingredients accordingly. Mix your ingredients well. The goal is to have every flavor in every bite….and when it comes to cheeseballs, there’s no danger of over-mixing. Leave enough time to chill. I recommend chilling the mixture for at least an hour before rolling it into a ball. 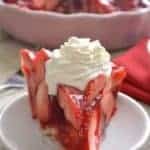 If it is too warm, it will be sticky. If it’s too cold, the almonds will not stick well to the outside. 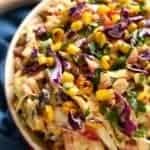 *Note: This recipe is easy to make in advance and chill overnight or longer. 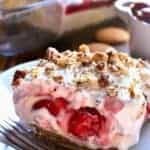 In the case that you’d like to chill it for an extended period of time, you may need to let it sit at room temperature for a bit before rolling it in the almonds. Offer a variety of dippers. Crackers, pretzels, apples, you name it. The more variety, the better! 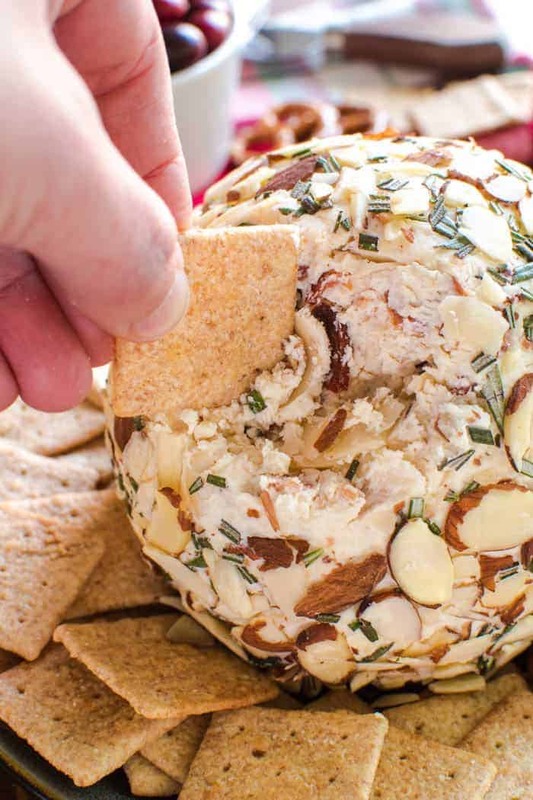 I hope you enjoy this Swiss Almond Cheese Ball as much as we do! 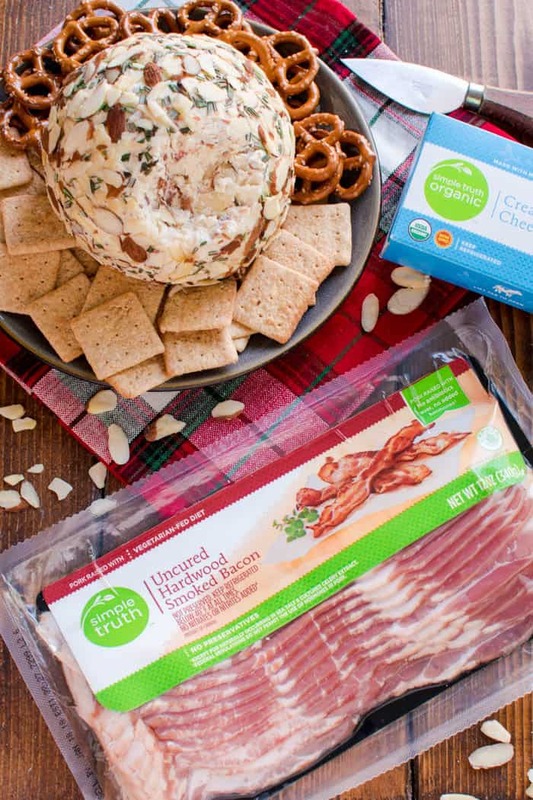 This Swiss Almond Cheese Ball makes the PERFECT holiday appetizer! Because no holiday celebration is complete without a cheeseball....(am I right? )....and this Swiss Almond combo is to die for! If you've never tried it, now is the perfect time to try it and fall in love. 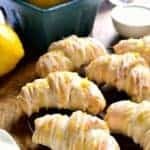 All you need is a handful of ingredients, a few minutes of mixing, and some time to chill....and you have yourself a new party appetizer that's guaranteed to become a fast favorite! 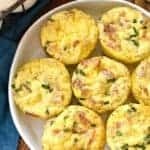 In a medium mixing bowl, combine cream cheese, Swiss cheese, cooked bacon, white wine, worcestershire sauce, garlic powder, and onion powder. Stir in 1/4 c. sliced almonds. On a small plate, combine remaining sliced almonds and minced rosemary. Roll cheeseball in almond mixture to coat. 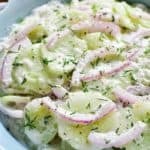 Serve with your favorite crackers, pretzels, or sliced apples. 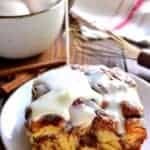 For more recipe inspiration, visit Pick ‘n Save on Facebook, Twitter, or Pinterest. 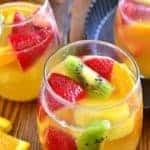 Sweet recipe – thanks you! Looks like perfect party fare and relatively easy! We are going to our family Christmas party this weekend and I might make it. “I love the Elf on the Shelf” – said no sane person ever. I think it potentially ruins things and the kids compare and contrast at school. “Mine was bathing in marshmallows”, “Mine was zip lining from our tree!” Really? Because I can hardly get my act together to move it from kitchen to living room. 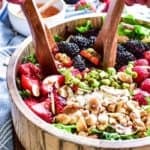 So YUM – Pinned for my dinner today. Can something else be substituted for the white wine? These so look good – thanks so much! This is so good! Loved the way you presented the cheese ball, with those biscuits around!